Anthony Joshua will be fighting american heavyweight Eric Molina on Saturday, 10th December 2016 in Manchester, United Kingdom. Eddie Hearns confirmed the fight after Klitschko fight failed to materialized. Joshua’s IBF heavyweight title will be on the line. Joshua-Molina will headline a very loaded PPV card which will be aired live on Sky Box Office. 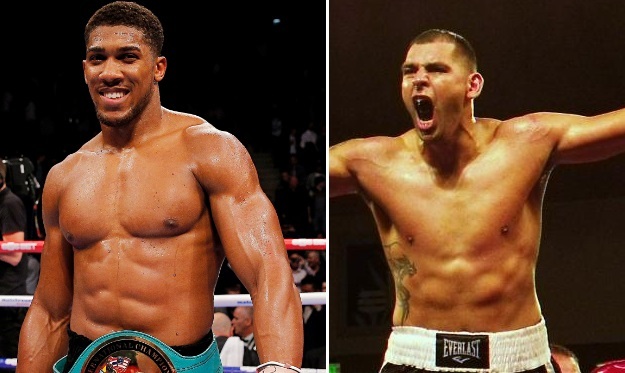 Anthony Joshua vs Eric Molina TV Coverage & Undercards: Sky Box Office will present this Joshua vs Molina fight card as PPV in the United Kingdom priced at around £16.99. There will be several high profile fights on the undercard including Dereck Chisora taking on Dillian Whyte while Scott Quigg also returns after his injury and his opponent will be announced soon. Anthony Joshua was widely tipped to finally take one of the bigger boys and his camp were in serious negotiations for undisputed championship bout against Wladimir Klitschko this fall but injury to Klitschko has kind of put and halt to that bout which is likely to take place midway through next year. Joshua also have couple of other interesting fights if Klitschko fight does not materialised, he can either fight Deontay Wilder for a mega heavyweight bout or he will surely face David Haye next year if all other options won’t happen. Who is Eric Molina: With the record of 25 wins and 3 losses, Eric Molina is no pushover who has only lost 3 professional fights and since his defeat in the hands of Deontay Wilder where he took him to 9th round, he has won both of his recent fights against the likes of Rodricka Ray and Tomasz Adamek. It will be an interesting fight where Joshua is firm favourite to record yet another win but this is the first time he will be facing such an experience fighter who might not be at his physical peak but do bring durability and some power in the ring.